Reinforce your will and desire to stop smoking. Block the cravings that lead you to light up that next cigarette using a smoking hypnotherapy audio recording that has been proven successful with many of Lynn's clients. This is a self hypnosis program that allows you to use the power of your unconscious mind to stop smoking and to become a permanent nonsmoker without weight gain. As you listen to Lynn’s soothing voice you will discover how easy it is to travel into the realm of the unconscious mind and access its unlimited power to achieve your goal. 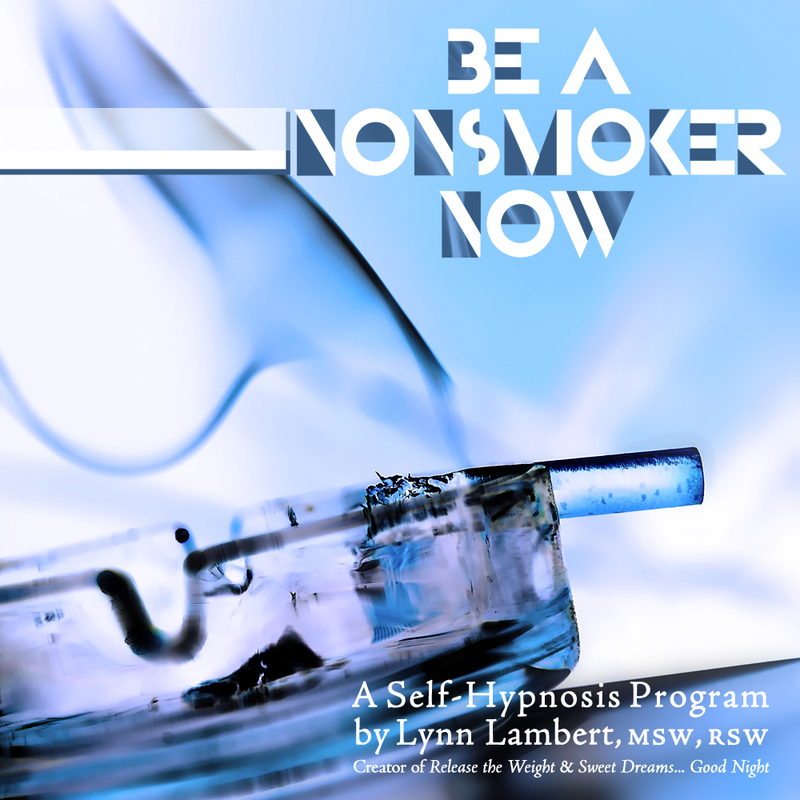 This program applies the unique and dynamic approach Lynn Lambert has developed in her successful counselling practice as an experienced hypnotherapist and psychotherapist. Be a Nonsmoker Now™ can help you overcome your smoking addiction. You have taken the first step by deciding to become a nonsmoker. Congratulations! Overcome your personal triggers and cravings.